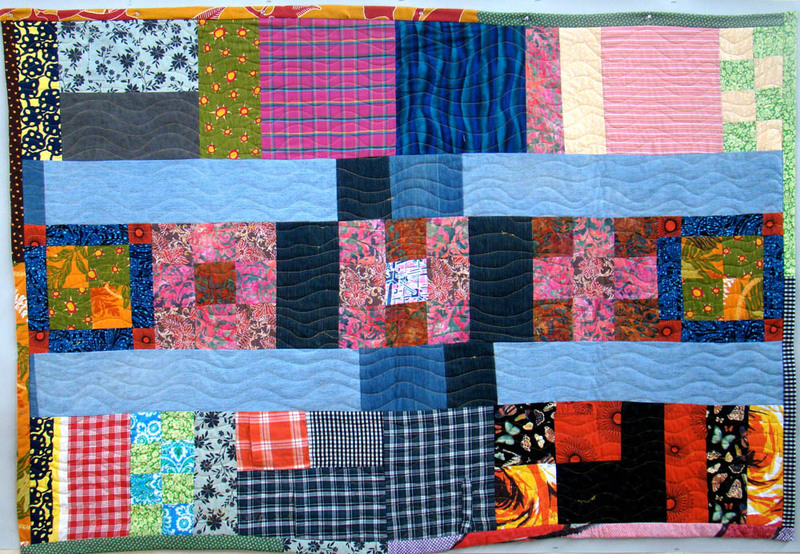 This entry was posted on Monday, September 3rd, 2012 at 2:15 AM and is filed under Collaboration, Commemorative Quilt, Custom Made. You can follow any responses to this entry through the RSS 2.0 feed. You can skip to the end and leave a response. Pinging is currently not allowed. Your quilt back is actually quite elgneat. Maybe someone, somewhere will decide to make an inside out quilt. That way you could get some interesting fraying, like a rag quilt. I’m playing catuhcp on blog reading and so sorry I missed the vote. But love your quilt backs. It takes time to make backs like that – and it’s art for both sides of the quilt. I often turn my quilts over and they’re pretty plain on the back. Also love the ME quilting. 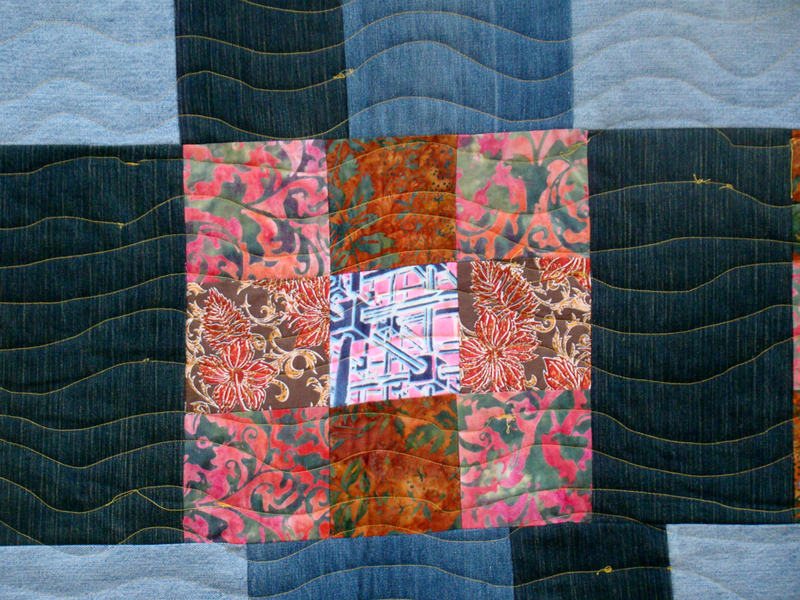 At our LQS, they have a beautiful quilt that was pieced and basted and then each block was quilted in the machine. One just has to be careful to manage the weight of the quilt so it doesn’t affect the movement of the embroidery machine. I am like you that I like the continuous designs too. EmbLib has some good ones.